In a bid to get healthy glowing skin before the onslaught of Christmas, I decided to “pretox” and went full speed ahead into my favourite detox, The Chris James 12 Day Cleanse (more that on coming soon). Picture the scene. Day 7 arrives, I’m onto the 3-day juicing phase of the detox, my carrots, apples and ginger are peeled, chopped and quartered, ready and waiting in the juicer, I switch the juicer on and…..my trusty juicer was dead. Kaput. Just. Not. Working. Imagine my panic! What do I do? Desperate to “eat” something, I tried putting the whole lot into my Vitamix. Note to self: carrots do not do well in a smoothie. Try it and you’ll see what I mean. Or rather, don’t. So after having literally forced some of the weird carrot smoothie concoction down me (ugh – I almost threw up), I went out to buy a) a juicer and b) some ready-made juices to keep me going. And that’s when I made the happy discovery of Vegesentials. Most healthy juices available in the supermarket are mostly fruit and very little veg. Me, with my very unsweet-tooth, can’t really bear these, but these are not nearly as sweet as most shop-bought juices are. Boasting half fruit, half veg, there’s a good balance of the two. 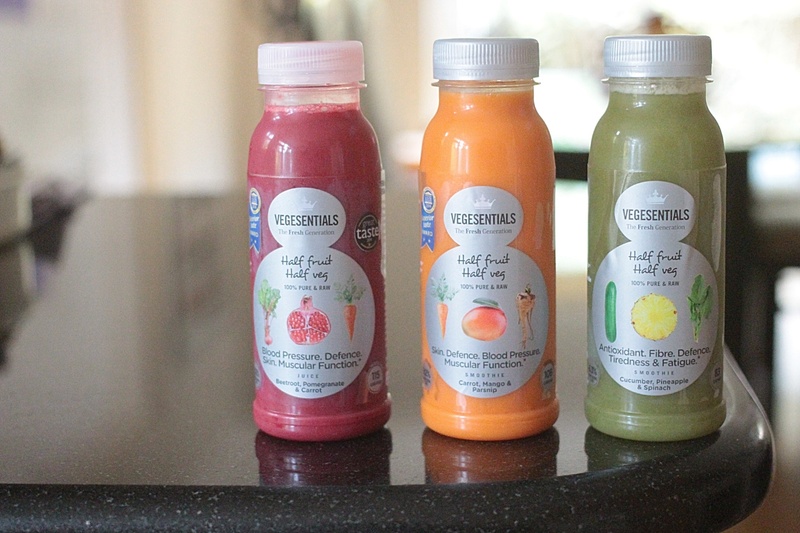 The three I tried are the Beetroot Pomegranate & Carrot, Carrot Mango & Parsnip and Cucumber Pineapple & Spinach versions, all of which went down very nicely, thank you! I’ve bought these in Tesco and Waitrose, so I think they are very widely and easily available, and beat a high sugar snack any day. 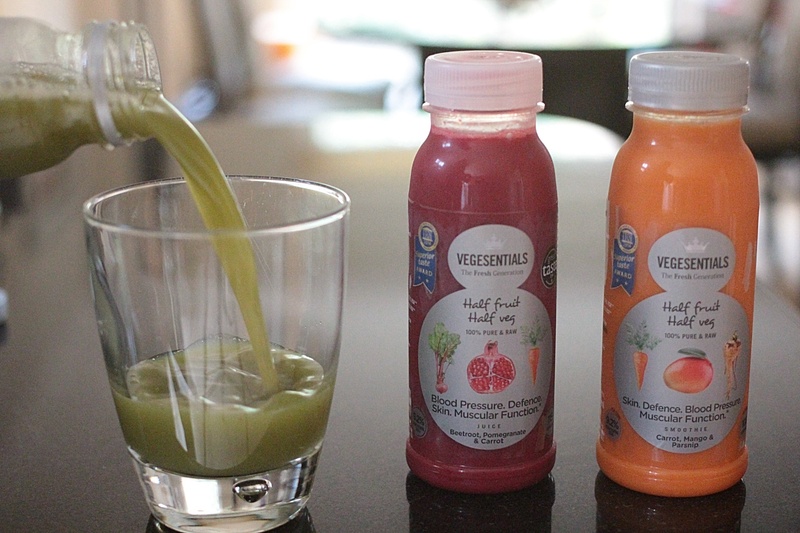 What do you think of juices – a short lived fad or a long-term healthy option? P.S. I’ve definitely got to tell you about my juicer-buying journey – but that’s for another time! I love juices, I think it’s how you make it that makes it healthy! Be careful to look at the sugar content as well if you buy ready made smoothies & juices or make them though. Natural sugars from oranges and other fruits can be just as bad for you as the normal sugar. Thanks for the advice Mara – definitely worth keeping in mind!